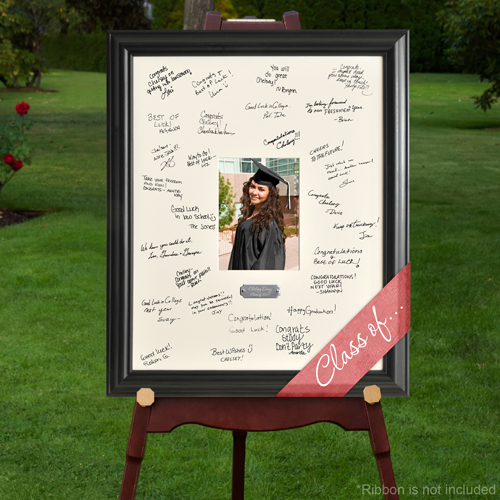 * A new spin on the old-fashioned guest book, the Personalized Celebrations Signature Frame puts their good wishes where you can see them. * Guests add their signatures and sentiments to the photo mat. 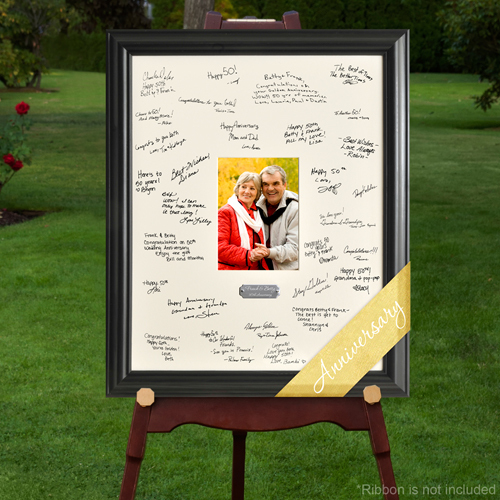 * Insert a picture of the honoree to create a memorable tribute to that special day. * Brushed Silver plate is personalized with the name of honoree and event date. * Frame measures 23" x 19". * Holds a 5" x 7" picture. * Personalize plate with 2 lines up to 20 characters per line. * Plate not attached to allow for vertical or horizontal placement. 23" x 19" x 2"